(Photo credit: PGH Internal Medicine Facebook page). 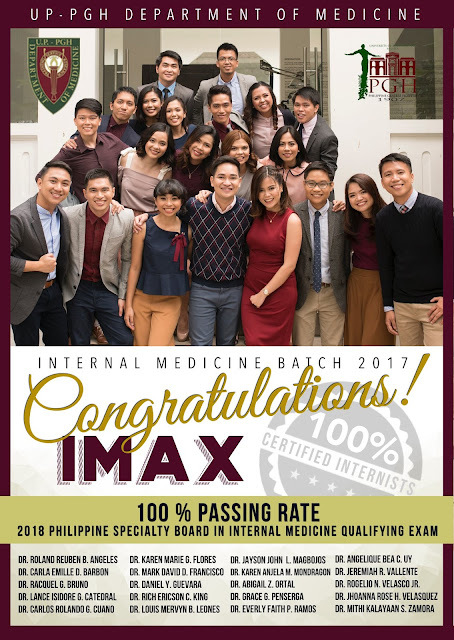 I've never referred to my Internal Medicine colleagues as IMAX, the batch name we were supposed to adopt. I consider batch names extraneous and juvenile—we are, after all, not taxonomists who need to follow a nomenclature for a phylum or class of organisms. Most of all, we are not high school students! But I have loved working with these men and women—brilliant, kind, hilarious, and so opinionated that they'll brush off my objections as nonsense in an instant.